Xu Guoxiang imitated Mao – by wearing a grey suit and speaking in his Hunan accent – at the Boao Blockchain Forum for Asia in Hainan Province. 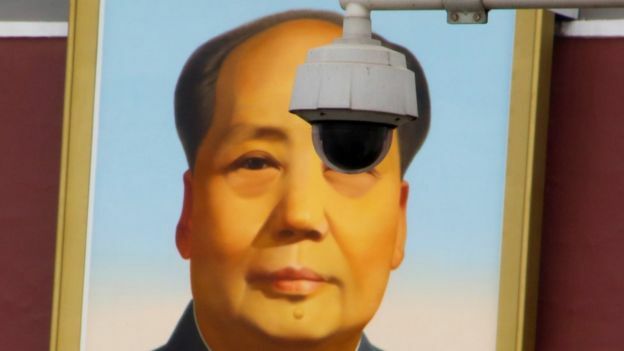 China’s law prohibits using the names and images of party leaders for commercial purposes. The event’s organisers were forced to apologise for the stunt. The Boao Forum for Asia has issued a statement saying it is not affiliated with the Boao Blockchain Forum for Asia. At the conference, Mr Xu said: “I sincerely hope this forum is a success. I thank you in the name of Mao Zedong!” He delivered a speech with “actor characteristics and personal opinion”, according to China’s Global Times news website. Blockchain is a technology that underpins digital currencies and was the focus of the conference. Chinese state radio said Mr Xu was a “little-known actor”. The reaction on social media has been critical of the stunt, as Mao Zedong is still venerated by many in the country as the founder of modern China.